In this episode of the Intermittent Fasting Stories podcast, host Gin Stephens interviews high school English teacher Ryan Smith from Bangor, Maine. Ryan started his journey with intermittent fasting in 2014. Ryan and his wife Kim (the very first guest on the podcast) wrote a book called Unbelievable Freedom: How We Transformed Our Health and Happiness with Intermittent Fasting which describes their journey of trying IF and losing around 215 collective pounds. Ryan’s first attempt with IF ended unsuccessfully, and he abandoned it after the first day. However, trying a paleo diet for a while after that enabled him to unintentionally prepare for trying this significant lifestyle change once more. Ryan shares that now he feels as if IF is the way people are supposed to eat. His and Kim’s diet changed as a result of the deeper lifestyle changes they introduced in their life together. Initially, they struggled with the type of food to eat and the food preparation, but now they have become a lot more synchronized. IF is partly responsible for this as it had an effect of restoring the sensitivity in their taste buds. An additional unexpected positive development for Ryan was the disappearance of the need to plan meals for work, as well as the need to prepare them during the school lunch break. Gin and Ryan also discuss how great they feel since they started applying clean fasting. Ryan originally lost 120 pounds from 278 pounds in 2011 by going through a vegetarian, then a paleo diet, and then finally IF. There was a certain point where he gained back several tens of pounds, but it didn’t affect his look as his muscle-to-fat ratio went up. This is a common effect appearing in those that started IF with a higher weight and stuck to it while losing a great deal of fat. Therefore, it is important not to focus too strictly on your weight targets, and focus on how healthy you look and feel. The health changes Ryan experienced after sticking with IF are numerous. He may have reversed his diabetes condition for which he was diagnosed more than a decade ago. IF also improved his chronic pain related to his auto-immune Ankylosing spondylitis up to the point of getting off his anti-inflammatory medication. Ryan’s final recommendation is to believe in IF and just live your life and enjoy your food. Stick to it and wait for the results that are likely to come. Good podcast. But Ryan, the female lion does all the killing ( exercise) Heh, heh. WTG Your pictures say it all. Thank you for sharing your journey. And I’ll bet you’re a very cool teacher.. Welcome to Intermittent Fasting Stories! Tune in each week to hear an inspirational story from a real-world intermittent faster, including their best tips for success. 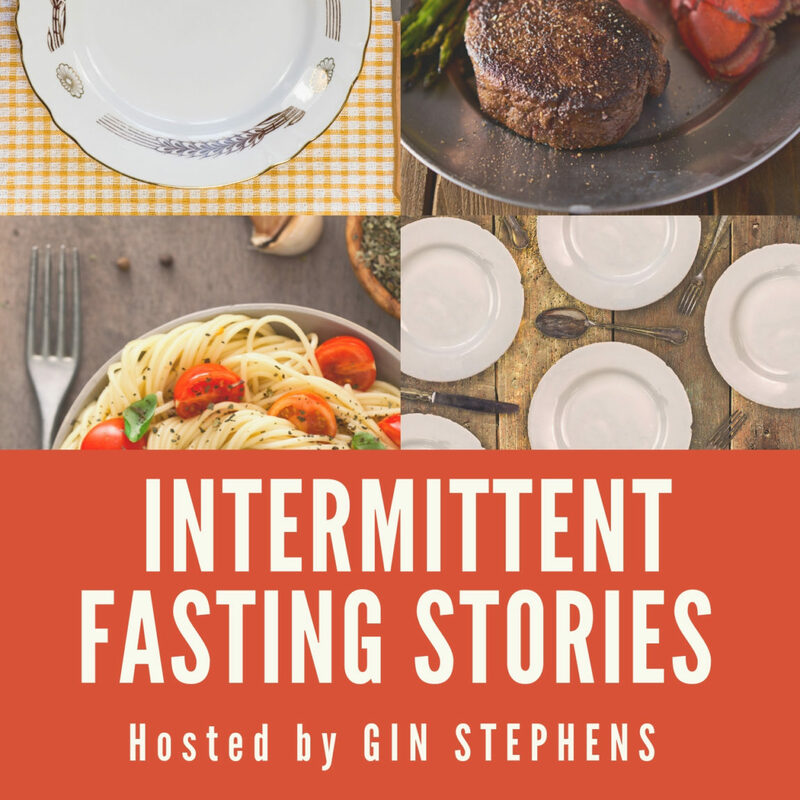 Intermittent Fasting Stories is hosted by Gin Stephens, author of Delay, Don’t Deny: Living an Intermittent Fasting Lifestyle and Feast Without Fear: Food and the Delay, Don’t Deny Lifestyle.